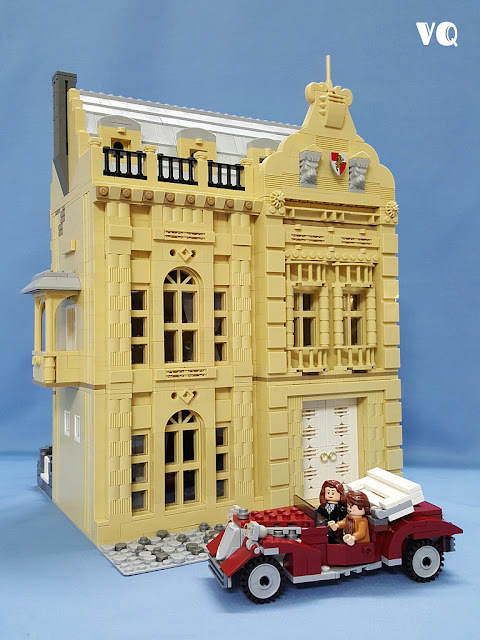 LEGO fan an flickr.com user vincentkiew recently shared this outstanding building and classic coupe car MOC in his photo-stream. The texturing and details on the walls and the door are done greatly. The car itself looks pretty awesome. The backside of the building also look great with climber plants with flowers on the wall.